First up - a blog I just recently found. Blog post started Feb. 2019. Seems set up to accommodate / attract English readers. Built in translation as on Todoroki-san’s blog. 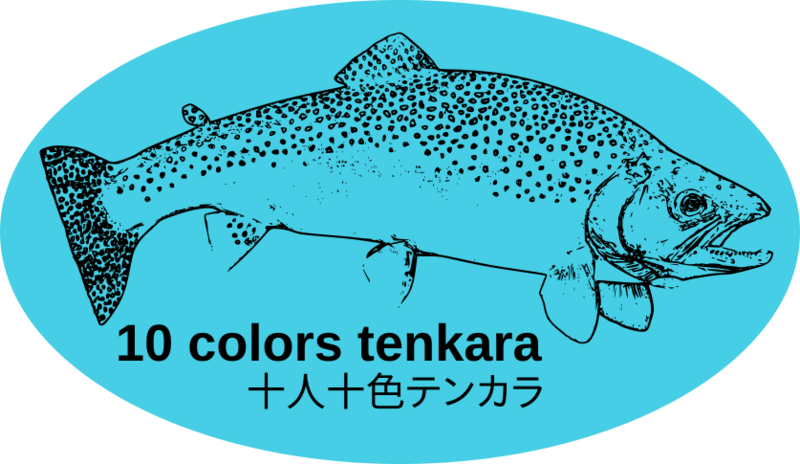 Links to several familiar English tenkara blogs: TenkaraTalk, TetonTenkara, Tenkara-Fisher, tenkaraenso, etc. Profile states or translated that he was former fishing magazine reporter. Though I haven’t seen a name. Location Saitama Prefecture, Japan. Northwest of Tokyo. Not a lot posted thus far, maybe worth watching future developments. Next isn’t a new blog. Just an alternate Dr. Ishigaki blog url. Maybe it has been around a long time and I’ve just noticed it. The old blog url still works, though I see it has also stripped off the links to his professional work that was formerly on the blog. Mostly both blogs seem to have the same material and links, but with a few differences. The tenkaradaio blog does have a link, top left corner, to his professional work, and that website has a link back to the tenkaradaio blog. Which is one reason I think it is a new development. And there are a few other difference in content comparing the two parallel blogs. Just thought I’d mention it in case in the future one of the parallel blogs goes away. Or I can just appear foolish for not knowing about the tenkaradaio url much earlier. Thank you, I’m inundated with information but can not seem to get enough. can not seem to get enough. Maybe you have a case of テンカラ熱が (Tenkara netsu ga) Tenkara fever. Tenkara fever has been rising in recent years among western fishing fans. It’s a pretty interesting post. Made difficult to understand via whole page google translation, because recently google translate has become terrible. Alternately translating テンカラ竿, (tenkara rod or pole) as: tenkara persimmon, tenkara bowl, tenkara samurai, tenkara pass or other odd translation, dependent on other words in the sentence or paragraph. 竿と糸 (rod and thread) was translated as 'coffin and thread. 「加賀竿」as Mr. Kaga, instead of Kaga rod. 新しい竿. new rod, was translated as either ‘new chopsticks’ or ‘new chicks’. Rather bizarre. Google translate has a severe case of what the Germans call - Verschlimmbesserung - basically meaning - A sincere attempted improvement that makes things worse than they already were. Anyway, if you can massage a decent translation into English of the following webpage. It is pretty interesting. Or I thought it is. From May 5, 2018. What it is about is 中村さんの白山テンカラ竿 [Nakamura-san’s Hakusan Tenkara sao] Google translate makes it a bit difficult to figure that out. Oh, and if you do an internet search for テンカラ熱が (tenkara fever) you will find several several search results. It’s a common phrase. Here’s an old post where the google translation is acceptable. Or at least not terrible, just read tenkara pass as tenkara rod. I’ve always linked to the Japanese tenkara community blogs etc at my site. It’s been around longer than any with the most. Glad to see you are posting them too.